Q. Are there any dangerously venomous spiders in Canada? A. 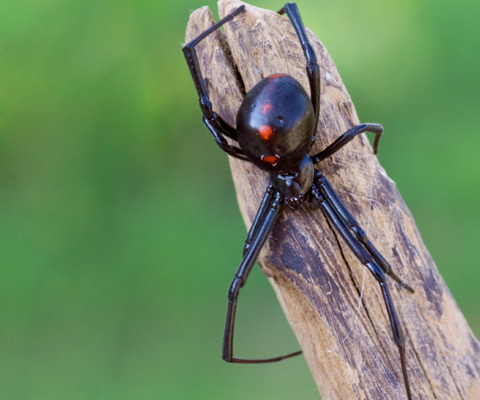 In Canada, according to the experts I contacted, we only have to contend with black widows – there’s the northern black widow, which is locally common in southern Ontario, and the western black widow, which is locally common in areas of southern British Columbia, Alberta and Saskatchewan. The good news is that they are not aggressive and tend to bite only when threatened. So take care when working around wood and brush piles. If a black widow spider is about to get trapped or crushed, it will bite in self-defence. Send your wildlife questions to CWF’s conservation researchers, Terri-Lee! Your questions and answers could be featured in a future issue of Wildlife Update!